you guys will never guess where i am right now. well, i'm in india!!! and what you are seeing behind me is the mighty indian ocean. i'm actually here on a 2 week business trip but it's such a fantastic opportunity for me to be able to get a tiny glance at this enormously beautiful country. 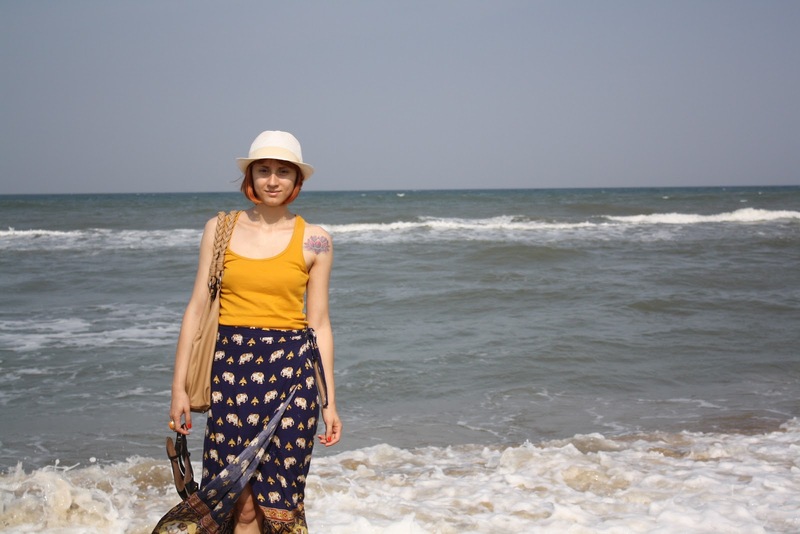 on my first day here i went on a tour of the city of chennai, where i am located. i will share some more photos with you in the next few days. these were taken on the marina beach, one of the most beautiful beaches in chennai with a 5 km long promenade. 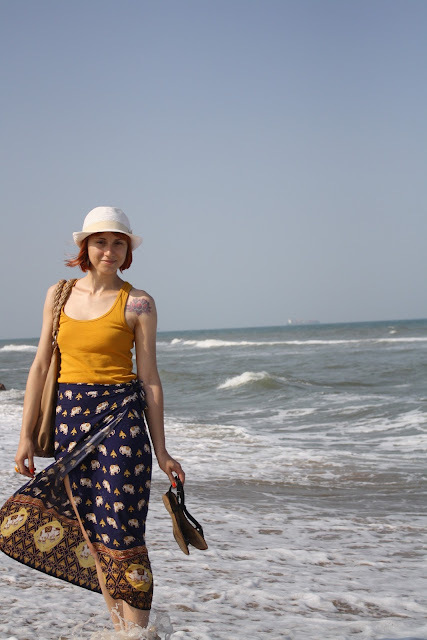 being a white female and a redhead on top i got stared at a lot, especially here at the beach, but i was starring at ladies in colorful saris all day long, so i guess we are even. i did try to blend in (ha!) 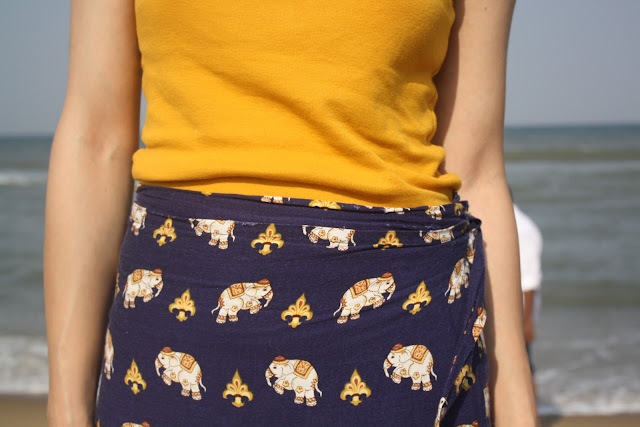 by wearing a wrap skirt with an indian elephant print. i thrifted this beauty last summer and i knew i had to bring it with me on this trip. 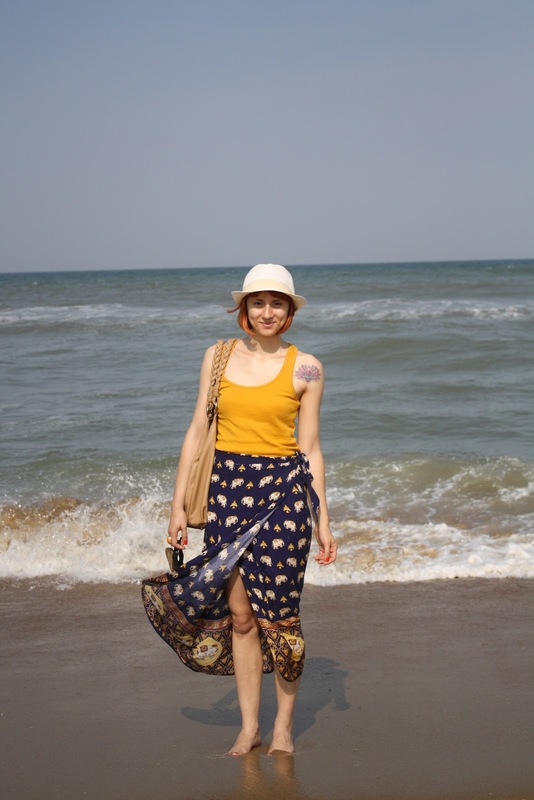 who could have imagined i would get to wear this in india. i mean what were the chances? ce cute e fustita cu elefantei sau e esafra? :-?